Smart Cities Council Chairman Jesse Berst interviews Seattle Chief Technology Officer Michael Mattmiller about his experience in making Seattle a smart city. Smarter use of technology is helping Seattle making significant progress in everything from moving people through the city’s downtown core to more effectively dealing with storm water. Michael Mattmiller, who has served as the city’s Chief Technology Officer since 2014, will share lessons from the city’s projects during the opening plenary, State and Local Governments Leading the Smart Revolution, at Smart Cities Week. Mattmiller offers great insights on how to break down silos that prevent cities from reaching their potential. Check out his interview below for a preview of his advice, and make sure you make plans to join us at Smart Cities Week for the rest. What are the biggest challenges you face on the path to creating a smarter city? 1. Coordination and planning. Vendors are great at getting to our departments and selling one-off solutions when money is available or there is an immediate need. This sub-optimizes (or prevents) enterprise investment in architecture, data sharing/analytics, and operational support. 2. Mind space. The concept of smart cities can be hard to convey to key city stakeholders. Getting departments to focus on how they can benefit from IoT and big data can be challenging, especially considering the other demands on their time. Our greatest successes are when we can engage leaders to co-identify business challenges where technology (broadly defined, including smart cities concepts) can provide value to their department and the public. As we mature, we hope to plan farther ahead so we can extend planning to an infrastructure level and create more scalable platforms. What has been your/your city’s best success to date? From an innovation perspective, RainWatch, a program to protect City infrastructure from flash flooding using a network of sensors to develop hyper-local weather predictions, developed in partnership with UW/NWS/City's Public Utilities. From a broad impact perspective, our traffic management system that uses real time traffic data crowd sourced from the traveling public to improve flow through the downtown core – while still protecting individual privacy. What does your experience bring to the delivery of complex projects? Engaging partners and bringing stakeholders to the table from diverse backgrounds. Additionally, public engagement and benefits, as well as privacy concerns. How do you think cities will change in the next five to ten years? More people, more density, greater emphasis on transit and livability; urbanizing suburbs that will continue to prove a regional approach to challenges is still necessary – including coordination of smart cities efforts. What’s your perspective on how cities can overcome the tendency towards silo’ed thinking that can inhibit initiatives from moving forward? Strong executive leadership is best, along with community engagement and partnerships. Our most successful efforts are ones that are championed by our community and leverage the resources of our research institutions and corporate partners. There is also a need for strong SME knowledge from long time city staff who understand how processes work and are open to new ideas. 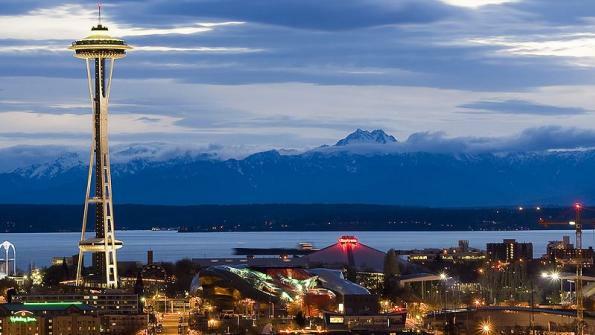 We're lucky in Seattle that so many of our staff are willing to bring expertise and openness. What will we learn from you at the event? How to engage partners, how to both respect privacy/earn trust and drive new technologies, and how to focus on the “people” side of smart cities. Jesse Berst is chairman of the Smart Cities Council, which helps cities make better use of technology to become more livable, workable and sustainable. 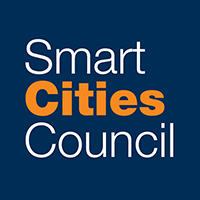 The Council’s annual Smart Cities Week, is September 27-29 in Washington, D.C. Register today.